Do you want to be named among the Top 10 Emcees in Singapore? While organising an event, be it a wedding reception, an engagement ceremony or a corporate annual day, a large part of its success depends upon the manner in which the guests and invitees are engaged. It is here that the presence of a professional emcee can make all the difference between a memorable event and a forgettable one. A great emcee can hold the audience’s attention and ensure they interact with him. 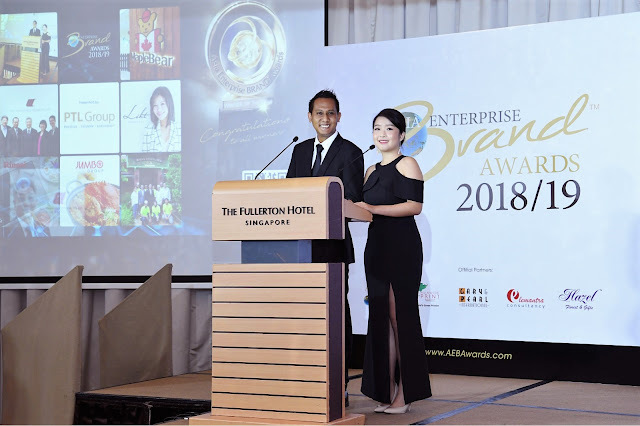 Dr Elmi Zulkarnain Osman, who is a leading name as a Master of Ceremonies in Singapore and has been enthralling audiences as an emcee and corporate trainer for thousands of hours, says there are a few qualities one must have to make it as the Top 10 Emcees in Singapore. A great emcee must always be prepared. Hosting an event is not an easy task and needs a lot of preparation and groundwork. A professional emcee will ask dozens of questions and will have lots of queries about the event, the guests, their profile, the content and the purpose of the event. This kind of preparation helps the emcee to be ready with the background of the event, with a lot of relevant information and stories kept on stand-by for use. The good emcee will keep a sheet that shows the various events that will happen throughout the day so that the event sticks to its schedule and does not run out of time. A professional emcee is always prepared for an emergency which could eat up time from the main event and has fillers to bridge long gaps too. He does not need a script to manage the session and can easily keep the communication going at an easy pace. Top-notch emcees are great at capturing the audience’s attention quickly and set the mood that has the audience anticipating a great time ahead. You always want your guests to be involved in the goings and so do the guests. A recommended emcee in Singapore will make the guests feel like they are a part of the event and are not just being talked to. Especially, during a corporate event, the audience’s involvement becomes extremely critical as does their buy-in so that the organizational goals are met. He will ensure that the names of important guests and VIPs are clearly and correctly pronounced but that should never become the only criteria while selecting an emcee. The art of storytelling and regaling the audience with anecdotes and true-to-life stories, comes quite naturally to a successful emcee. There will be times when the attention of the audience may waver and the clever emcee is ready with a solution to spark the imagination of the guests by thinking quickly on their feet and reconnecting to the audience once again. The true talent of a great emcee lies in his capacity to make the person sitting in the last row as connected and involved as the guy in the front row. Obviously, you want your guests to feel important and it is the emcee’s job to do this. With a great rapport being built in the first five minutes of the start of the event, the rest of the programme does move quite smoothly with audience involvement at its peak. They can motivate the audience to participate and keep them inspired throughout the length of the entire program. Also, communication is not only about speaking but involves a great deal of listening too so a powerful emcee will “listen” for verbal cues from the members of the audience, in the hope of building a dialogue with them. This also helps them to understand the pulse or the mood of the audience and therefore regulating the tempo of the programme as desired. You will also notice that a professional emcee will constantly seek feedback which not only help him to alter his pitch but also gives him the liberty to give the audience what it is looking for. This customisation happens on the feet and is completely seamless so that the audience too does not feel the change and simply moves along with the flow. There is this common notion that in order to become a good emcee, one needs to be extremely gregarious and outgoing. While these qualities are essential, they do not guarantee success at the topmost level. Yes, being cheerful and extroverted does help to a great extent, unless an emcee has a certain amount of flexibility and maturity, the entire package may not seem too attractive in front of an audience. A quick sense of humour coupled with a clear sense of understanding of the deliverable makes for a great Master of Ceremonies, says Dr Elmi Zulkarnain, who is a highly sought-after emcee in Singapore and is a leader in corporate training. Blessed with the gift of the gab in various languages (English, Malay, Bahasa Malaysia, Bahasa Indonesia etc.) a commanding voice, charming personality and an academic mind, Dr Elmi Zulkarnain Osman possess the qualities of a desirable emcee. Dr Elmi is well-known in Singapore as an emcee who is effectively bilingual in English and Malay. Most uniquely, his intuition to his audiences’ response when on stage is applauded. He has emceed and hosted numerous live shows from awards shows, corporate events to private functions and even entertainment gigs. His great sense of humour and camaraderie with the audience makes him a crowd favourite. Dr Elmi Zulkarnain wears a few hats for the past 15 years. He is a teacher, lecturer, corporate trainer, language coach, public speaking coach, educational researcher, poet, writer, motivational speaker, event emcee, stage actor, voice-over talent, forum moderator, etc. This makes him an exceptional emcee as he reaches out to the audience in ways that will garner the best response. Effectively bilingual and fluent in English and Malay, Dr Elmi is well-known in the realm of corporate emceeing in Singapore. Those who have engaged him are not kidding when they describe him to be the best they’ve ever seen. Witty and charismatic, there will never be a down moment with his bubbly character. Wow, Dr Elmi .. You are like hosting and emceeing everywhere in Singapore nowadays. By the way, I am recommending you to my Big Boss to host our company Dinner and Dance. I am very sure you are the best emcee as everyone knows you have the humour and stage presence to make the evening an enjoyable one for all our colleagues.